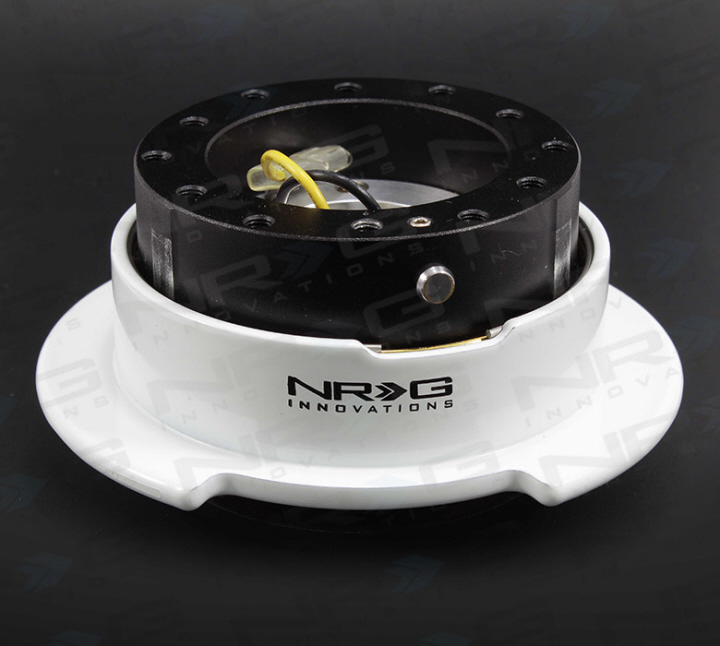 NRG Innovations SRK-250WT Gen 2.5 quick release. White Powdercoated Ring can be paired with different colored bodies. The Generation 2.5 Quick Release has all the benefits of the Generation 2.0. The dual-spring mechanism is further assisted by the addition of a flared ring that makes it easier to release. This addition increases applied leverage and is perfect for use in applications where the use of gloves is required.